Well, maybe not so much of a pit. I bought it for $80,000 in 1987; appraised for $420,000 in 2004. I sure didn't throw *that*much money into it. But I guess the paint and landscaping sure paid off. Latest appraisal? $525,000. Even in a slow market. That $20,000 worth of hardscape and $500 SolaTube since the last appraisal paid off with $105,000 return. Not bad. What's next? I'm putting photovoltaic panels on the roof. A 2.5 KwH system; enough to zero out my electrical use for the year. I'm replacing the kitchen door with a french door and enclosed miniblinds. The new driveway is already in. For every $1.00 I put in the house the value seems to go up $2.00-3.00 So I don't mind. Plus what I do the neighborhood seems to follow. So it might seem like I'm overbuilding for the neighborhood but they catch up in their own way. And that raises all of the property values including mine. Right after I put in the brick wall I noticed a number of other houses putting up stucco, decorative iron, etc and fixing up their front yards. Who knows? Maybe a few more houses will look into solar panels after they see mine. 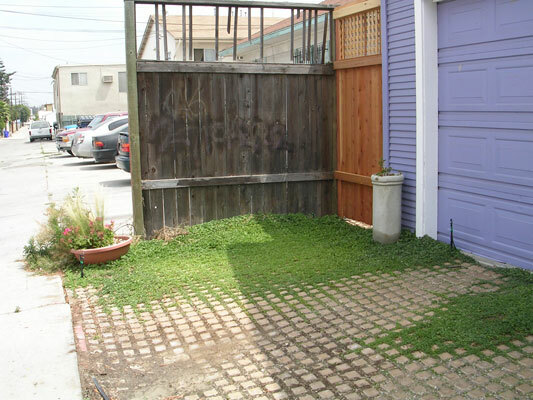 Or replace their worn and cracked concrete with the Drivable Grass mats. Lucky for me I have the PERFECT house for PV. 30 degree tilt and direct southern exposure with no shade. Cost? $23,000 up front. But after State and Federal rebates: $14,000. Yeah, it's expensive. But electricity, like the price of gas, isn't going to get any cheaper. That's why I bought a Prius when gas was only $2.15. Averaging 48 mpg. Oh......and nyah, nyah, nyah, nyha, nyah. And it isn't just gas going up. Natural gas is going up too. My old water heater was 13 years old, way beyond it's lifespan. And on all of the time and taking up the entire kitchen closet. 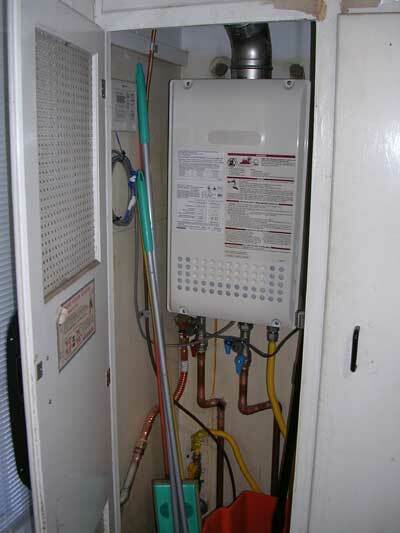 I wanted to put in a tankless water heater in 1994 put couldn't find a local plumber willing to do it. Well, now they're all doing it. So out with the old and in with a brand new, on demand, tankless water heater. This is the last of the big improvements. Now it's little stuff and pulling weeds.Always pulling weeds. Oh, and $300 tax rebate if you install before Dec. 31, 2007. Better hurry. 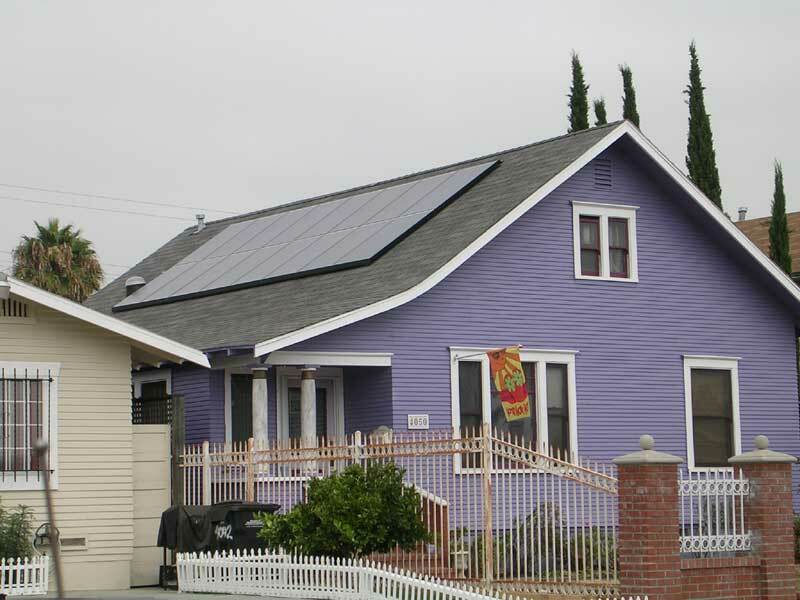 And here are the solar photovoltaic panels on the roof, generating electricity. I've got the perfect location. Almost due south (okay, it's 13 degrees southeast but almost perfect) and the roof angle is a perfect 30 degrees for year round generation. Isn't it amazing that a home this old could be so perfect for a technology so new? The new driveway is IN. Check out my dicondra (no mowing). And here is some of the summer's harvest. I ate the carrots. But you can see my APPLE! 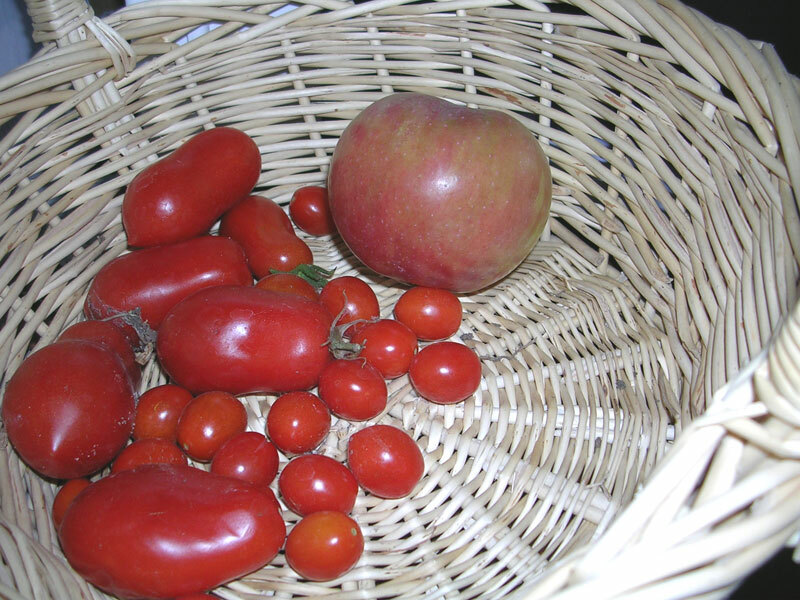 I have grape tomatoes, Best Boys and Italian Plum tomatoes. Here are the grape and plums. I can harvest this about once or twice a week. I'm hoping for more as the summer progresses.